Dr. Heath Rada was elected moderator of the 221st Presbyterian Church (USA) General Assembly in June of 2014. He and his wife, Peggy, are traveling across the country and around the world as ambassadors for the church. 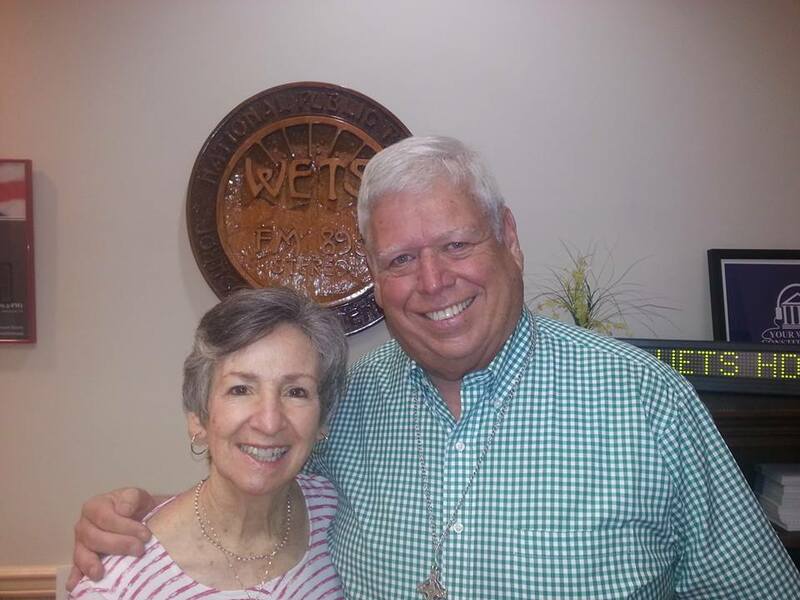 They visited with me in the WETS studio to talk about some of the controversial decisions as well as the hope they see regarding the church of the 21st century. Thursday, October 9th at 8 pm on WETS, 89.5. Saturday, October 11th at 1 pm on KZUM, 89.3. Sunday, October 12th at noon on WEHC, 90.7. Sunday, October 12th at 2 pm on WETS, 89.5. Monday, October 13th at 1 pm on WEHC, 90.7. Wednesday, October 15th at 6:30 pm on WEHC, 90.7.